By reason of Removalist Roxburgh Park, there is no need to afraid of moving to a new place, we make it really easier to shifting you in Melbourne. 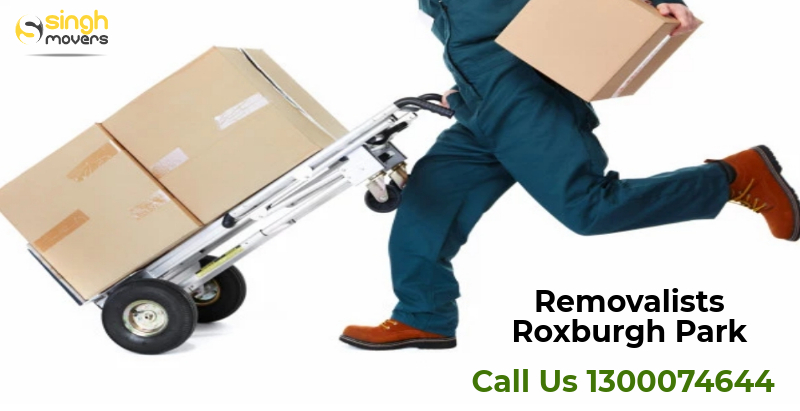 You don’t need to worry when we, the Furniture Removalist Roxburgh park are here available to provide you with the best removalists services. Singh movers and packers have several different and efficient ways to provide quality services regarding the moving of customer's household products, furniture, crockeries, vehicles or other fragile items anywhere in the state. If you are moving to a new home you purchased with your family or you are relocating your organization to a new place, you will definitely be in need of some Interstate furniture removalist Melbourne. We as movers and packers Melbourne helps our customers in the moving of your furniture, piano, rubbish, crockeries or any other fragile items with proper safety and with the use of professionally designed tools along with our professionally trained and friendly moving men. This Removal company Melbourne provides its customers with the satisfaction of the work which we do for them with all our heart, hands and efforts. Our furniture delivery services across Melbourne delivers your goods and furniture safety after applying our packing techniques to provide the goods utmost safety and then are delivered to the place where it needs to be delivered. Singh movers and packers have all trained and professional workforce who have the experience of many years in this work of shifting. We provide you with the moving ease with the help of tools that are professionally designed to provide your furniture and material to be delivered, the utmost safety. Removal company Melbourne render your customers the services that can meet our customer's expectations in the proper way. We deliver your goods at the right time as specified by you and never delay in delivery of goods. The on-time delivery of our customer's stuff has built up their trust in us. Our workforce does all the work regarding packing and moving with their whole heart and soul so as to provide safety to your goods. Are you in the process of moving to Melbourne? And are you trying to find some relevant packers and movers Melbourne? Are you tired of searching for movers and packers Melbourne? This is really a difficult task to find and execute the shifting and moving to relocate to a new place. Your search for moving services Melbourne is almost over now. We are one of the most trusted and leading office movers Melbourne and Furniture Removalists Roxburgh Park. We provide our customers to help in their shifting in the best way possible. Also, if you want to hire Piano movers Melbourne, then we are the right choice for you. Our assistance will make your shifting go easier and convenient. We are the in budget removalist Melbourne that offers our customers the most affordable services and also at reasonable prices. This moving company Melbourne has all the friendly working men trained as professionals in this work of shifting, packing and moving so that we can provide you with the moving and packing services at its best as no other company can. Singh movers and packers assist you in the relocation process right from the very beginning of shifting process that is packing till the end when your goods are not properly delivered to the given location. This furniture removalist Roxburgh park will render you with the most reliable and trustable services. We are known to provide our customers whatever and however, they want their services to be and ultimately we provide them with proper satisfaction for our work. We, the interstate furniture removalist Melbourne can assist you with our professionally skilled and talented workforce and this turns to be the major reason that we have earned the faith of our customers completely. Our friendly moving men will assist you in the delivery of your goods with total safety and security. We offer our customers services for storage and packing with proper strategies so that your goods and furniture be safe with us. Even If you are moving your company or organization to a newer location or if you are shifting to your new home along with your family, no one will be completely able to this moving and packing processes themselves. You will definitely need packers and movers Melbourne who can render you with their shifting and moving services and eventually your shifting process can into an easy one. Also, the shifting process takes in a huge time devotion when you do it alone. But, if you hire us for your moving and packing we will do it at the earliest by taking the least time of you. We are the relevant furniture removalist Roxburgh park to provide you with all these services. You just need to contact us and you will be free for all your shifting work. We can provide you with a complete stress-free move to your new place. So, get us hired and all your difficulties regarding moving and shifting will be removed for sure. Singh movers and packers Melbourne can feel the problems and inconvenience that you and your family can face while moving to a new place. This is why we are in services for you to give you the most convenient Moving Services Melbourne at the most reasonable and affordable rates. We have several tools that can help you with the removal of your piano, pool table, furniture or other large fragile items that need to be handled with safe and secure hands. So, give us the honour to serve you with quality services regarding moving and packing Melbourne so that your move can be a whole lot easier and stress-free. The reason why you should hire Singh movers for Removalists Services? We do not charge for any depot to depot movement from you during the shifting process. Also, nothing is mentioned regarding this in the quotation. We charge just for the door to door movement to deliver your goods so that you can be relieved for the shifting and moving. We do not charge for fuel that is used in the process of delivery of your furniture, goods or any stuff belonging to you. We use trusted and latest tools for the furniture removal to be done for you shifting. These tools will provide your furniture and stuff a safe and secure movement. These tools include trolleys, dollies, ropes, shrink wraps, high duty blankets etc. We do not have any habit of asking our customers for any hidden charges after providing you with the quotation. All the charges we need to get from our customers are clearly mentioned in the quotations. No hidden charges are asked by our side from you. We are present here to look into the doubts and problems that you face at any hour day or night. We provide 24*7 support to our customers so as to make their move convenient. Our assistance will surely decrease your difficulties in the shifting process. So, you need not fret over anything. What kind of services we provide our customers? We work as a helping hand in the process of your relocation to a new place to make the moving of your furniture, vehicles or households easy. But first, you need to hire Singh movers and packers so that you can do your work at earliest and conveniently. We deliver your goods on or before time only. We never delay in the delivery or completion of our work for you to make your move stress-free. Our key to the gained trust of our customers is the work satisfaction they get when we work for them. We understand the needs of our customers and also analyze the outcomes when we work for them. Hence, it makes us able to win their faith in us. We have a reasonable set of prices as per the requirements of our customers. Our prices are also affordable that you can easily hire us and you will need not to worry about any pricing given in our quotations. We deliver your goods with our professionals with safety. Moreover, the tools which we use are of a great role in the secure delivery of your furniture. With the use of professional tools and experienced workforce, we never had a chance when any harm was caused to our customer's furniture and goods. But, if in case there is any damage to your goods then we promise to pay for the loss you have faced because of us. We use efficient packing techniques to make your goods and furniture delivered with safety. We use bubble wraps and high duty blankets etc for packing of goods so as to provide protection to the furniture and other fragile items. We are the most relevant Furniture Removalist Roxburgh Park who can render you quality moving services. You need not think now. Just pick your mobile and call us for getting the quotations regarding the services you want. Roxburgh Park is a northern suburb of Melbourne in Australia. It is located 20 kilometres in the north of central business district of Melbourne. The city of Hume is the local government area of Roxburgh Park. The population of Roxburgh Park is 21817 as per the census 2016. The density of Roxburgh park is 4280 per square kilometres. Its postcode is 3064.